Ras Al Khaimah: Two girls were hospitalised and eight others were treated at the scene after a portable gas stove was damaged in Al Dhaid secondary school for girls on Wednesday afternoon. Major General Ali Bin Alwan Al Nuaimi, Commander-in-Chief of Ras Al Khaimah Police, said authorities and paramedics were called to the school after receiving emergency reports at about 1.30pm on Wednesday, saying a portable camp stove had been damaged in the school creating panic among pupils. Ten girls suffered injuries with two transferred to hospital and eight others were treated at the scene for shock and drowsiness. It wasn’t immediately made clear whether the gas stove exploded or there had been a gas leak. An initial investigation revealed that the incident took place during an entertainment activity for students at the school. Major General Al Nuaimi stressed that the damage resulted in some minor injuries and drowsiness among students as a result of fear and panic, but he added that the matter was dealt with and two cases were transferred to hospital as a precaution. The school was evacuated in cooperation with the Civil Defence and students were sent home. 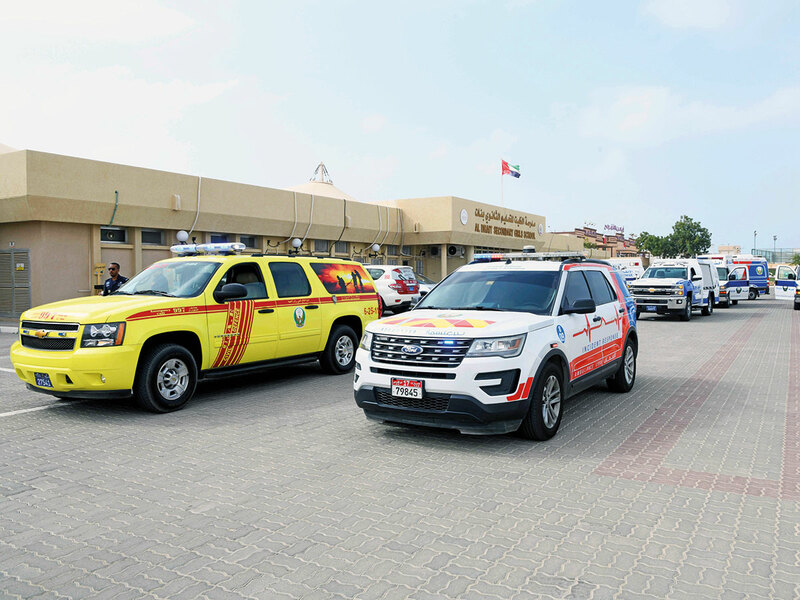 The evacuation plan, according to Major General Al Nuaimi, was carried out with the coordination of Ras Al Khaimah Civi Defence, Ras Al Khaimah Police, the National Ambulance service and various government departments. The cause of the damage is under investigation.